For the third time, Bulgaria is preparing to vote for the European Parliament. The first vote occurred during the “exceptional” elections of 2007, when the country, just recently become a member of the European Union, sent its first parliamentary representatives to Brussels (turnout that time was 28.6% of those who had the right to vote). Bulgaria then voted for a second time for the EU elections of 2009 (for which turnout rose to 37.5% of the population). In a European Union hit by an economic crisis as never before in its history, the Parliament is the only institution directly elected by the European citizens. For this reason the European elections in May 2014 are a unique moment for strengthening – through participation – the European political project. Through BeEu, Osservatorio Balcani e Caucaso and 7 other media partners in 6 European countries (Bulgaria, Croatia, Cyprus, Greece, Romania and Slovenia) wish to contribute to reinforcing European citizenship by giving information and stimulating debate on the activities and choices of the Parliament, the house we share, and on the most crucial themes for Europe's future: migration, sustainability, rights and enlargement. BeEu is a way to approach the European elections, support them and understand their implications for the future of our Europe. The upcoming May 25th elections will be extremely significant for Bulgaria, especially with the respect to the unique political moment in which they are taking place. The country has recently traversed a long period of serious political instability, which unleashed massive public protests in the winter of 2012, directed against poverty, corruption, and the oligarchic management of the economy. 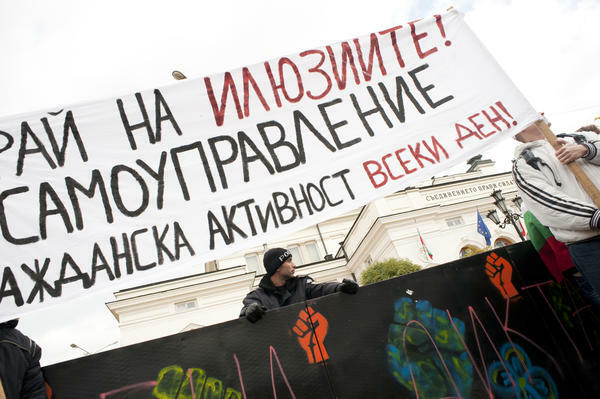 The protests were substantial enough to cause the government of the charismatic Boyko Borisov, and his movement, “Citizens for a European Development of Bulgaria” (GERB), to fall. The subsequent elections, scheduled for May 2013, revealed a politically divided country. In the end, a government was out of a fragile coalition between the Bulgarian Socialist Party (BSP) and the Movement for Rights and Liberties, a political party considered to represent the Turkish minority in Bulgaria. The coalition was unstable enough to require the external support of the ultra-nationalist “Ataka” party to survive. The Treaty of Lisbon permanently fixed the number of European Parliamentary Members at 750 (plus the president). This has required a redistribution of the seats assigned to each country, which affected almost every member State. A further adjustment was introduced with the official entry of Croatia into the European Union last year on July 1, 2013. And if this weren’t enough, one of the first decisions of the new executive branch, guided by the technocrat Plamen Oresharki, was to name to the head of DANS, the renewed security agency, the highly controversial MP and media tycoon Delyan Peevski (DPS). The decision catalyzed a new wave of protests, which, while unable to cause the new government to fall, nevertheless erected one wall after another and split Bulgarian society apart. It should therefore hardly be surprising that many analysts in Bulgaria are viewing the upcoming European elections in May as a Litmus test. Many believe the elections might indicate an eventual change in the balance of forces between the principal political parties, and they hope that it might introduce new political ideas, and define the direction in which the country will evolve. Numerous minority parties, some new and some old, are seeking to carve out a political space for themselves and to rise above the 6% threshold considered the minimum threshold to aspire to at least one European Deputy. On the left, the newest party is “Alternative for the Bulgarian Renaissance” (ABV). Considered the rebel wing of the Socialist Party, it is in conflict with the current leadership and is headed by ex-president Georgi Parvanov. On the other end of the political spectrum lies the “Reformist Block”, representing the umpteenth attempt to aggregate the various factions of the liberal right. The maverick in the competition is the movement “Bulgaria without Censorship” (BBC), a populist movement founded around the once-controversial journalist, Nikolay Barekov. BBC will attempt a well-tried tactic in Bulgaria’s political scene: to hunt for votes among the least satisfied elements of society. Still in play for one of the seats in Brussels remains the ultra-nationalistic “Ataka” party; this despite their considerable loss of esteem due to their strategic choice to act as the “external stamp of approval” for the government led by Oresharski. Making the upcoming European elections of May 25 even more complex is the proposal to hold a parallel vote on three different referendums pushed by the Bulgarian President, Rosen Plevneliev. The electoral system is the object of the possible referendum vote. In the event of a positive response by the voters, a majoritarian system will be introduced, together with a citizen’s obligation to vote and the possibility of electing one’s representatives in absentia, thanks to the electronic vote. It is still not clear if enough signatures have been gathered, or even if the eventual referendum can be organized at the same time as the European elections of May 25. If it turns out to be possible, the parallel vote could have significant repercussions on the number of voters and (probably) the results of the European elections.